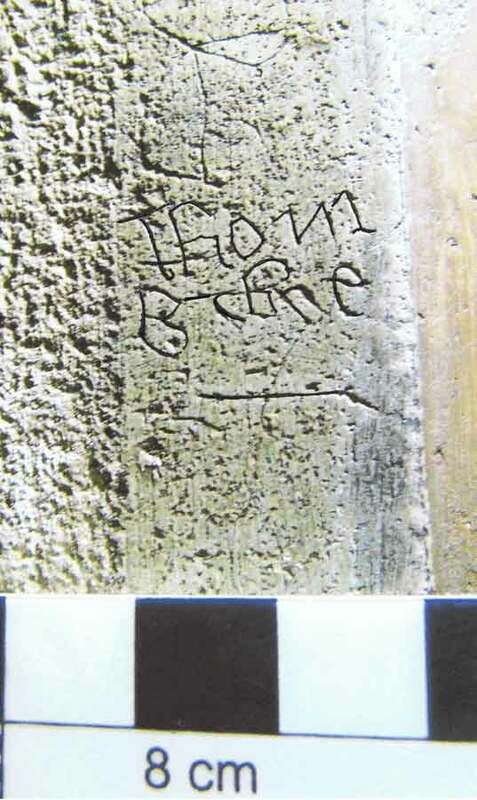 Matt completed a graffiti survey of Knole as part of the HLF-funded Inspired by Knole Project. Since 2013, he has recorded, analysed and interpreted the graffiti in the showrooms, as well as the attic and outdoor spaces of this large property. 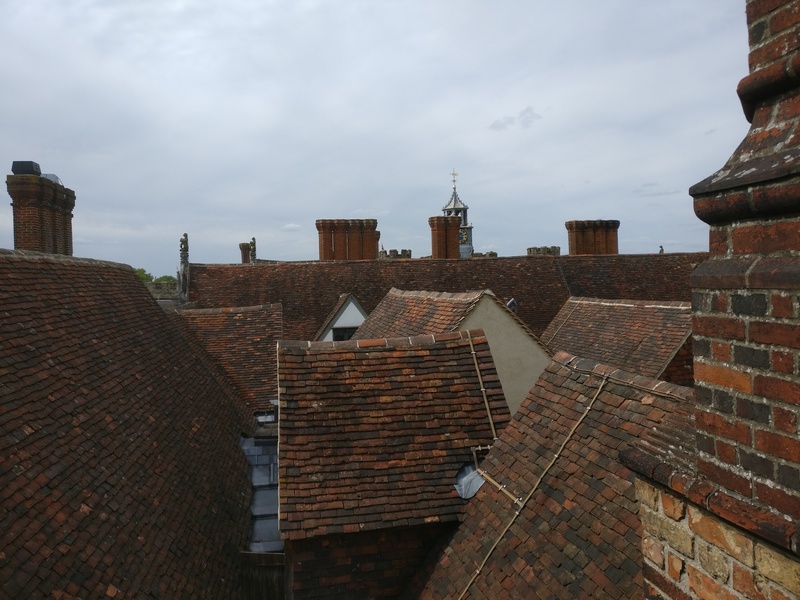 Knole’s earliest documented dated owner was the Archbishop of Canterbury, Thomas Bourchier, who acquired an existing manor house and re-built it over 30 years from 1456. 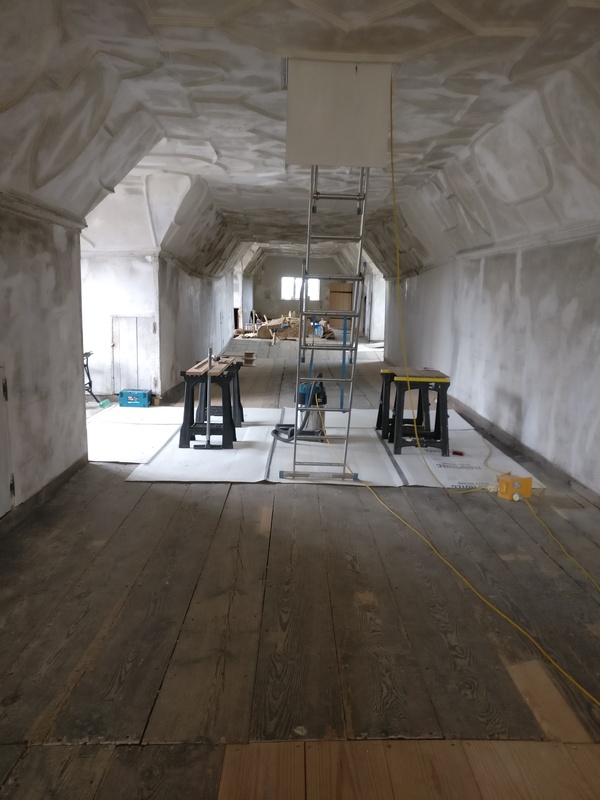 On one wintry visit to survey the East attics of Knole, Matt explained the layers of time revealed by graffiti on the lime-washed walls, and also why recording snow clearing was so vital to those who worked there. You’ve got earlier stuff in here as well; so you’ve got 1900, down here again 1901, 1900. 1891. Chances are these are the earliest ones here that we are going to find on here because what we’ve found elsewhere at Knole is that in these upper areas there is fresh lime wash applied in about 1890. So it all starts – all the graffiti we see is post-1890, 1891. 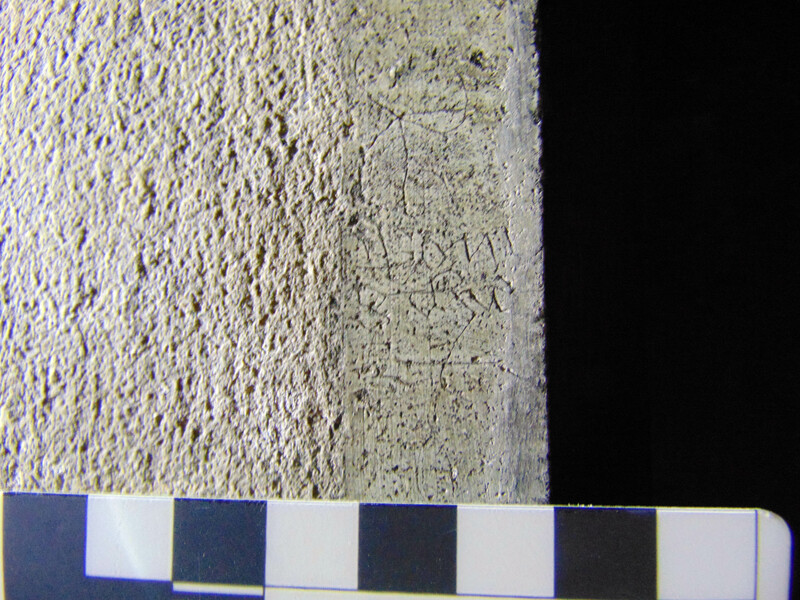 A few places where they miss – didn’t get that coat of lime wash – so a few window reveals, we discovered those in South Barracks, and they will have graffiti going back even further. 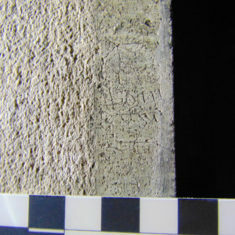 And there’s one particular place in the Retainers Gallery where the lime wash is very, very thin. 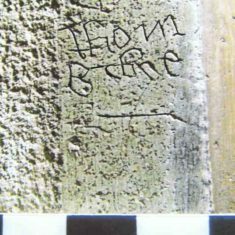 And you can see there’s graffiti underneath which is dating back to at least 1760. So all we’re seeing is only one particular layer. And chances are we’ve got other stuff going on here. 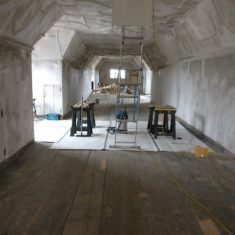 But the weather is just so incredibly important with a place like Knole that’s got such a big roof – that’s de-lamination again, the plaster is pushing away – and it’s got so many little gullies and traps. Once there’s snow in there, that’s it. Once it starts melting, that’s it, you’ve had it. You’ve got water pouring down on to the Leicester Gallery, the Cartoon Gallery. 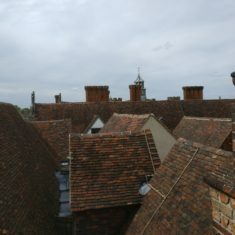 And this is one of our famous Knole gutters! See this, most houses have gutters on the outside. Oh this one’s inside like the South Barracks. Yes, so that little area up there, there’s no way for the water to run, so they put an internal gully which runs inside the roof space. It runs all the way along and then will exit out over the rest of the wall. But yes, it’s an inside gutter. What’s the age of that, do you reckon? Well it’s got to really date originally to the time of the roofs. So we’re looking at the 17th century. It was the only way they could get rid of all the water. So they could afford to do that. They could afford to do it. But lead’s also durable so the lead will also last this long as well. I found it on our last visit to Knole. We’ve been looking at a lot of the medieval stonework. So we’ve been trying to work out the level of Archbishop Bourchier’s rebuild as it were: which bits of the house belonged to him; which bits are high status; which bits are low status. During that we’ve been looking at door surrounds, because door surrounds are a really good indication of status of an area. We’ve already identified one particular mason who’s doing all the high quality work. And on one of the medieval door surrounds leading from the Reynolds Room to the lobby for the Second Painted Stairs. That’s my favourite doorway, it’s so beautiful. It’s lovely. It’s covered in medieval text and it’s covered in medieval names. So we’ve got at least 6 or 7 on there at the moment. One of them appears to be, well let’s just say it may well be the Archbishop himself. It definitely says Thomas; and it certainly it looks as if, well it’s abbreviated, but Bouchier. So it may well be Thomas Bourchier himself. And if not written by him, then it’s at least a direct reference to him. 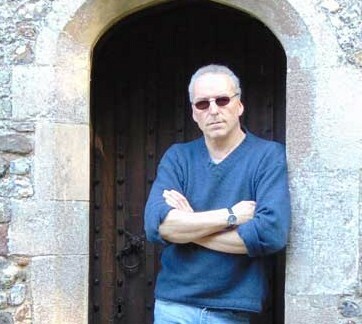 The text is late medieval, it’s on a late medieval door frame – couldn’t really ask for more, could we? This page was added by Veronica Walker-Smith on 18/01/2019.